This post and new serie of posts are intended to raise funds to support the developement of @globalschool and @onoschool activities. 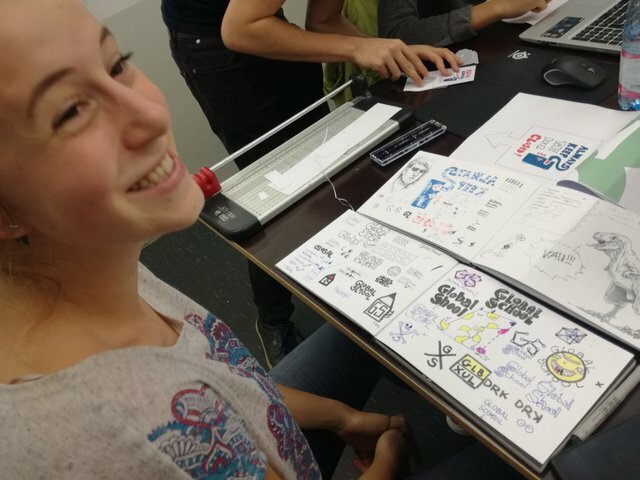 Credit: Justyna participant of the @globalschool taking responsability over the community account @covermaker. 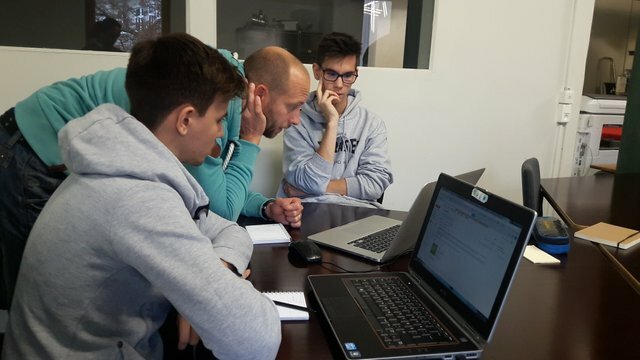 Between the space, equipement such as developement and training servers cost, food, transportation and other structural costs, it is more than 500 euros that our contributors are giving from their pocket every month to make the @globalschool a reality, this without any compensation as @globalschool mentors are cooperating on a volontary basis. This is why, with this serie of post, I hope to raise enaugh awareness to find new supporters to keep these projects independant of institutional sources of funding to take in charge these costs and offer the best comfort to the contributors, mentors and participants. Developing a popup design studio at the @globalschool in 2017 with Akos and Tamas. So, how to find supporters and sponsors while doing crazy things with 40 years implementation planning and volunteering to develop the next generation #blockchain and future internet for the prosperity of the communities, neighborhood and others? While some are telling me openly, you should go in holidays as everybody, I always keep in mind, that I feel in holidays, and this feeling exist whatever I am enjoying to do. Well, I guess all the art is within the rationalization of your vision how crazy your idea is to bring it a day to an everyday realization and having a supportive surrounding helps a lot. Cooperarting with @wolfgangsieberth at @frameworks. 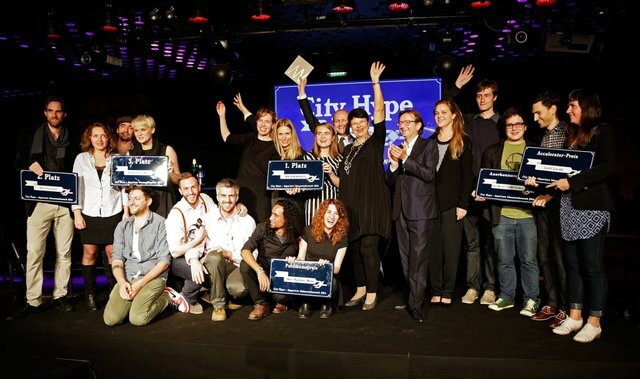 While cooperating on amazing platforms such as @onosocial, @silkroad40 or @neomad dedicated to the future of learning and travel in order to implement the requirements to establish the @IdeaMachine (project awarded with the public price in 2014 honored with more than +13 500 votes during the city hype contest organized for the occasion of the 10 years anniversary of the Vienna Business Agency). It is how I met on my road little bit earlier in 2013 @manncpt, then @wolfgangsiberth and slowly a lot of wonderful and supportive friends! It is around the same period that Christoph decided to launch the first Hug Inn Vienna in the 3rd district to develop the local framework while Wolfgang dedicated on the global and learning approach and me on the unification between digital and analog approaches towards the implementation of such project..
Credit: Idea Machine (@ideamachine) blueprint by @jnmarteau and A. Angeletou. One of the goal of such long terms vision is to respond to the need of participatory governance and more specifically in terms of management of multi usages public and private spaces as expressed by the endorsement of both, the Urban Planning Budget (MA 18), Smart City Wien, the Internet of Things and their joints goals for 2025 clarified within the establishment of the Internet of Ideas Consortium in 2015 with rocking partners such as the internet of things network, @generationeuropa, @opt2o as well as with a solid alliance of non governmental organisations we have written the Idea Factory proposal (available on demand). Then we launched already in 2015 the @globalschool to demonstrate the impact of co learning and co creation while co using and co managing resources, connections and rewards through principle, protocol, legimation/recognition to achieve its promise and aggregate a serie of pop up social business models and activities with which participants can explore by co learning and co creating with local and remote professionals. 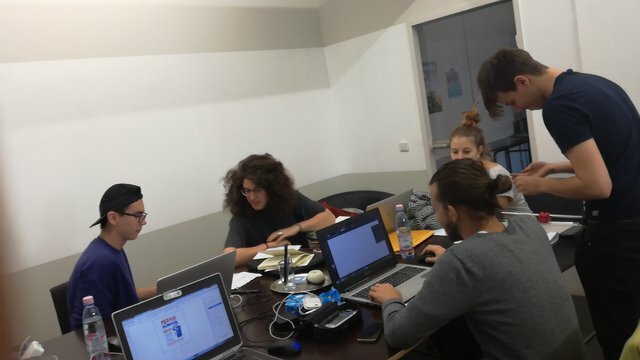 @globlschool aims to provide alternate frame for learning based on immersive serious games design principles such as especially trough #cryptoart awareness programs as service and a transformative experience model for a blockchain value network as well as the co-learning and co creation of ecosystems. It is how we launched a serie of small scale experiments and proposals. In the beginning of 2017, I had the idea to launch a community laboratory com-lab with @manncpt in order to invite the members of various communities to express their requirements in terms of usage of future of coworking, co learning and co living spaces and what value would be added or jobs would be offered by future agencies in the forthcoming years. Organizing the “comlab”, we found some inspiration on topics such as #open-source and #open-knowledge dedicated to social-grow and make the outcomes of offlines activities such as @hackathons, @workshops whichs are fields of experimentation, co creation, entrepreneurship and learning. The concepts can be systematized within some kind of experience journey blueprints. These can be developed in branches (see github) and iterated to shift the inclusion paradigm transforming user experiences access path in @innovations. Something new combining a vision of the future, to make everything and everyone existing travel and be transported by the idea within the present. A guide for inclusion within a transgenerational and multicultural dialog. Generations of fruitful social impact experiences which can benefit the community … inspiring its members. End of 2017 while cooperating with @alexandravart on the developement of @cccommons.art and the @globalschool we came again to the point that without the proper system it wouldn't be easy to have a sustainable mechanism to support #ccommonsart contributors. As it requires a team effort and the proper actionables to be well explained and available to the engaged community. Beginning of 2018 I launched with @wolfgangsieberth and @generationeuropa the first @frameworks iteration. 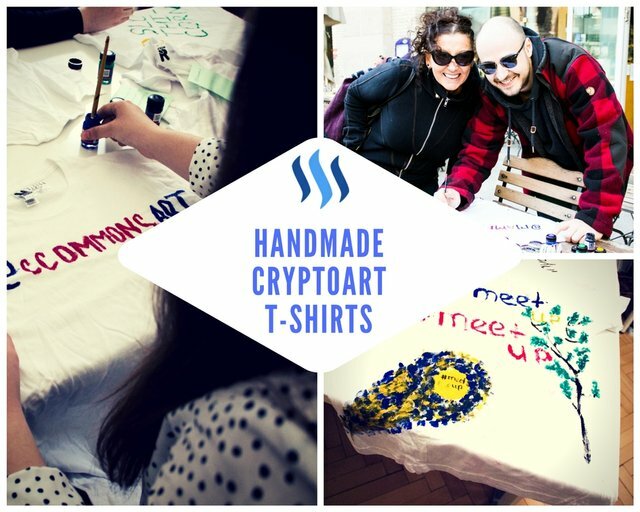 A project of self sustained cryptoart space with the goal to experiment from self sustained rewards systems to automated inter communicating rewards systems enabling to replicate themselves and improve thanks to the generation of blueprints based on effective participation in community empowerment related activities. 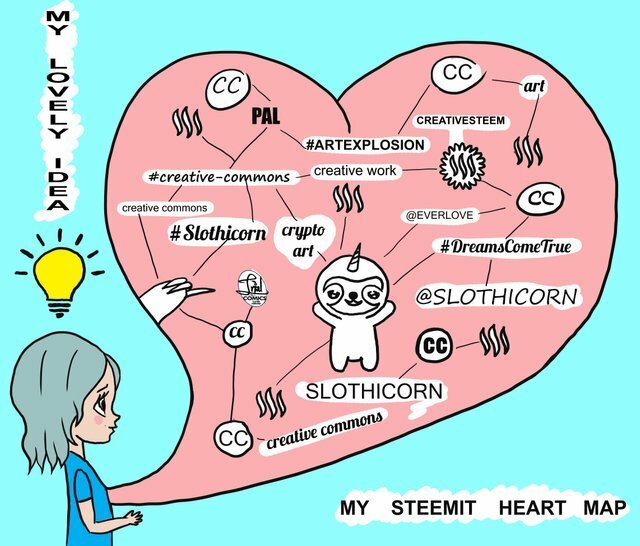 Credit: Launching @steemshirts with @ccommons.art, @mammasitta & @globalschool participants. Self sustained reward systems dedicated to community empowerment. Continuously co designed solution spaces connected to the blockchain ensuring the distribution of a multi sided reward to the contributors responding to network and space requests and requirements. The goal of the cryptoart space is to self replicate while reaching the conditions allowing to invest in a new generation of crypto artspace providing an environment for creatives in residences who can ensure @globalschool and @onoschool activities, mentorship provision as well as to reply to spaces and community requests. Both of these example requires the alchemy of dedicated group of contributors such as curators, writers, reviewers and supporters to cooperate and make the system work. Creating a project or launching a community service is fascinating and rewarding, but nonetheless a risky adventure. In order to increase the development, nothing is worth the stimulation of project creation. Organizing #meetup & @workshops, @globalschool is calling to specialists, while involving the target-public's participation helps avoiding many future problems. A well informed and well supervised project initiator will be able to find allies and coworkers all over the world to ensure his/her ideas' viability and make them prosper. It's a goal of the @globalschool, through the incubator programs such as “steem empowering academy”, which provides project creation support services. In this prospect, raise awareness towards community members as well as inform the public and make them sensitive, through actions such as @hackathons, #meetup, @workshops which are open to all kinds of public, creatives and entrepreneurs. That is how the @globalschool integrated within @frameworks and the help of notably @mammasitta, @manncpt, @vinyll, @lizanomadsoul and @wolfgangsieberth became a gestation and co budgeting environment, which allows to give birth to @innovations, by connecting groups of experts through a co-working and virtual monitoring space, accessible on the blockchain. We can notice that current similar communities are working online as well as in a local or regional area, but do not always offer real logistic and collaborative assets which would allow new types of projects to develop. The benefits of having perfoment bot to support the community are multiple and not intended to take the work of the community but allow the members to focus on what they do the best when the bot can for example, check automatically for contents under certain type of categories and generate automatically reports as well as to achieve actions such a upvote or resteem automatically depending on adaptive conditions. It is only in 2018 when we started to cooperate on the @silkroad40 communication that with @manncpt we decided to transform the com-lab to respond to the need of remote explorers, nomads and travelers. Extra infos: for the sake of putting something up, http://worktrips.neomad.org was set up. The name may (should!) change, the page, the texts… basically everything. Yet at least it's initialized and may permit to start some discussions and exchanges. Earlier this year, in April at the occasion of the 1st 1on1talks as steem meetup hosted by @opt2o and organzied for the occasion of the #steemit-austria anniversary and the launch of the blockchain mobility empowerement program of the globalschool and its pan eurasian meetup tour with @silkroad40. Joel ( @smartcoin) one of the co founder of @austroboost started to cooperate with us to develop bots to support the contributors and empower the active community. The first experience was consisting to develop a bot to reward the contributors publishing about @pizzajohn who thanks to the PR efforts of @manncpt sponsored the event and offered more than a dozen of Pizzas. From that time, Christoph and me are regularly going to @Pizzajohn to support their communication and in exchange they are always sponsoring us wonderful meals to test. As you can discover via my previous post or you'll discover within my next posts, I am a lucky person having a wonderful surrounding with incredible friends dedicated in supporting the causes and ideas we are sharing and who are helping me to put in place the proper systems to support people with great ideas and in quest of co learning and emancipation. Whenever you'll join physically a com-lab event in the 6th district of Vienna, you'll be invited to taste and review the tasty food creations of our amazing partner and sponsor @pizzajohn! 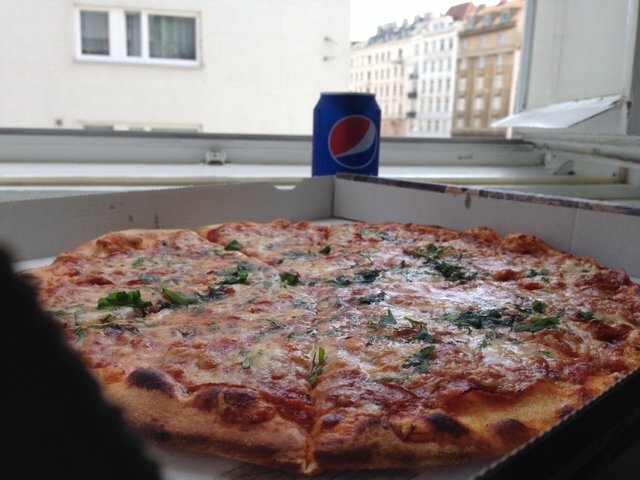 Here are the pictures of the last times I get the chance to eat thanks to @Pizzajohn while I was working at HugInnVienna with @manncpt on the com-lab developement. 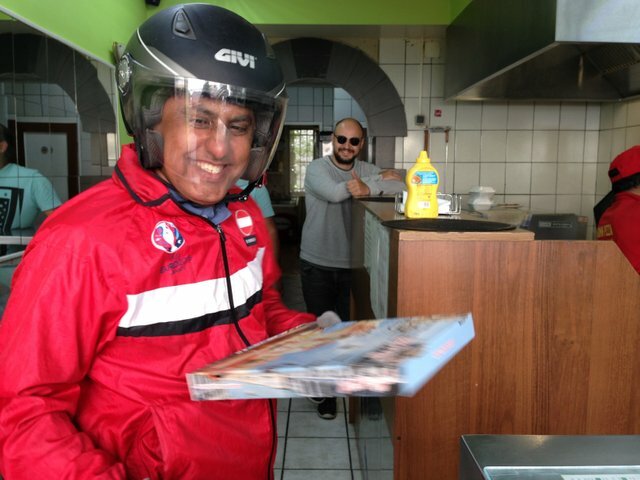 From Pizzas to burgers or pastas, our chief masters his kitchen! The team is always available and friendly! ...as the burgers are hugely generous and really tasty! Tune your plate and enjoy! In the last days, we were celebrating 5 years hosting with @manncpt at Hug Inn Vienna. @manncpt: "On #Airbnb since 2013, 225 Reviews, 94% 5 Stars. Hug Inn Vienna with @opt2o, we are providing a transformative experience for you. If you are hosting at home, too, you are invited to join one of the groups I created: Airbnb Classic Hosts or Classic Hosts in Vienna. Thank you Cathi, Silvie alias @mammasitta and @jnmarteau for helping me as co-hosts. You are the best!" If you like the prelude story of the @onofoundation you'll probably like the next posts and see how you can with the @onofoundation launch @onocenter and run an @onoschool wherever you are! Credit: Screenshot of a youtube compilation video. Join the @blocktv Join the @blocktv recording during back to school steemparty in end of August in Vienna! Join us to organize the @globalschool and the 1st cycle of the @onoschool via discord. As @globalschool, the @onoschool principle is totally collaborative! That is why we are inviting our supporters and community members to contact us for example via the com-lab (https://discord.gg/nYj4zd9) when they have ideas or projects they wish to implement or need support, but also when they find a questionable article, pictures, videos or anything. We can't check everything for sure, but we can eventually support you in finding indicators of validity not shared online and we are replying to all the questions you address to us. If you also want to cooperate with , @mammasitta, @lizanomadsoul, @preinisch, @teekingtv, @for91days, @zuckerzombie, @bertille-aa, @vinyll, @neomad, @gexi, @smartcoins, @hayk-hayko, @steembay, @travelfeed, @manncpt and me in the community lab. Important reminder: all the rewards of my posts are invested to take in charge @globalschool and @onofoundation activities and or to support new comers with @inyoursteem, @covermaker, @ideamachine, @workshops, @hackathons, @steemshirts, @innovations, @solidarity. Thanks for your support, SP delegation on @globalschool or @onoschool, upvotes and resteems! Thank you for your reviews and continous support making all these projects a reality! I feel in holidays, and this feeling exist whatever I am enjoying to do. For me living is about fullfilment and we might be corrupted by the shapes of whats makes us really truly happy. When passion and vocation are leading our minds then, all the road of difficulties and failures are just the steps towards learning to walk with others. Hope to see you soon too, maybe tomorrow at the meetup? good luck with all that - what a impressive post, you deserve a ton of upvotes for your efforts and dedication!